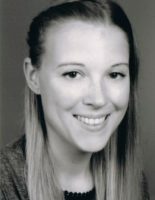 Josefine Buchhorn studied ancient studies and classical archaeology at Freie Universität Berlin. In 2016 she was awarded a doctoral fellowship by the BerGSAS and Topoi. Her research project is settled within the program Landscape Archaeology and Architecture (LAA) and within Topoi`s research group (C-6) Cityscaping. Her research deals with the question of continuance of institutions in the Greek polis during the Roman imperial era. Main focus of her work lies in the investigation of the Prytaneion as a building and the Prytanis as an institution by examining archaeologic, epigraphic and literary sources. Das Prytaneion vom 1. Jh. v. bis 3. Jh. n. Chr.